I decided to go through them again recently. I’m trying to declutter and let’s be honest, there is a whole spare bedroom closet FULL of my “memories”. So I threw away a lot of cards, but I kept some too. 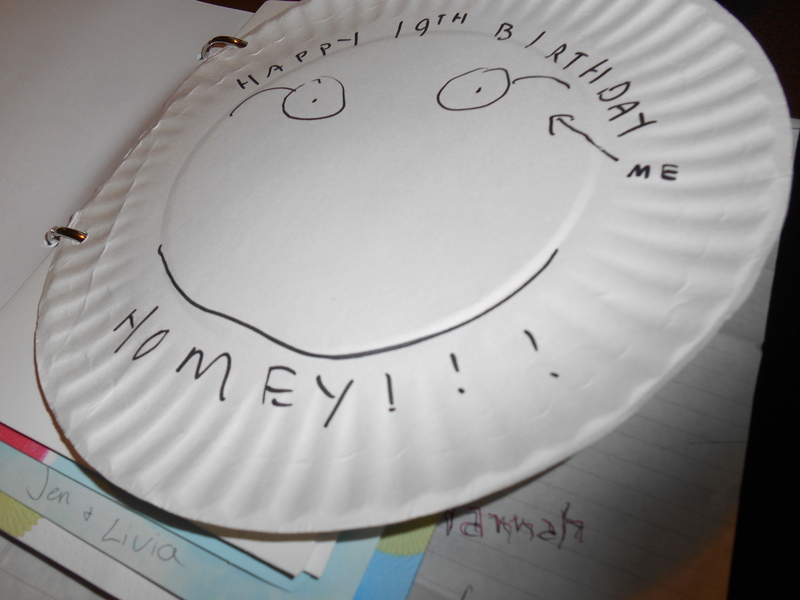 Organized birthday by sender – parents, brothers, or friends. Then organized by date. Kept some Valentines, a couple Christmas, some congrats and some prayers/encouragement. 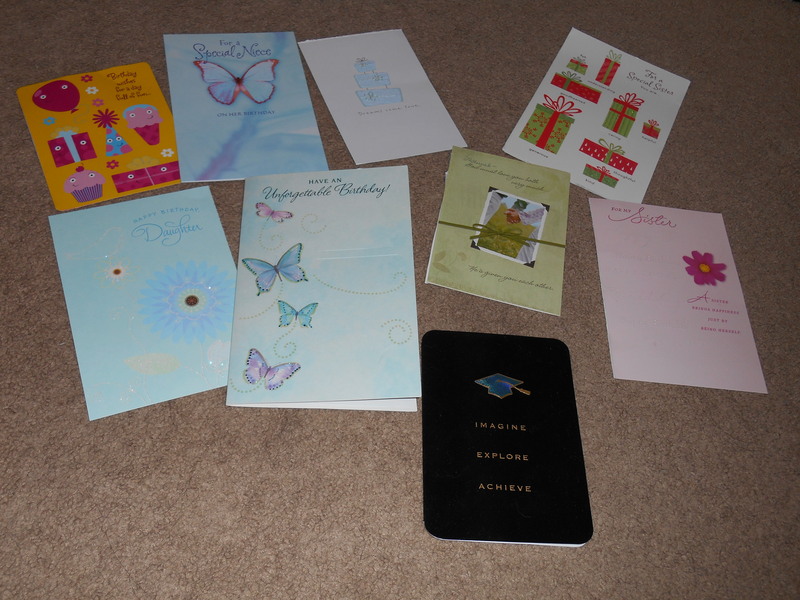 IMPORTANTLY, I did not always keep the whole card. I generally only care about what my family member or friend wrote. I didn’t have a huge problem with chopping the covers of many cards, so I did. 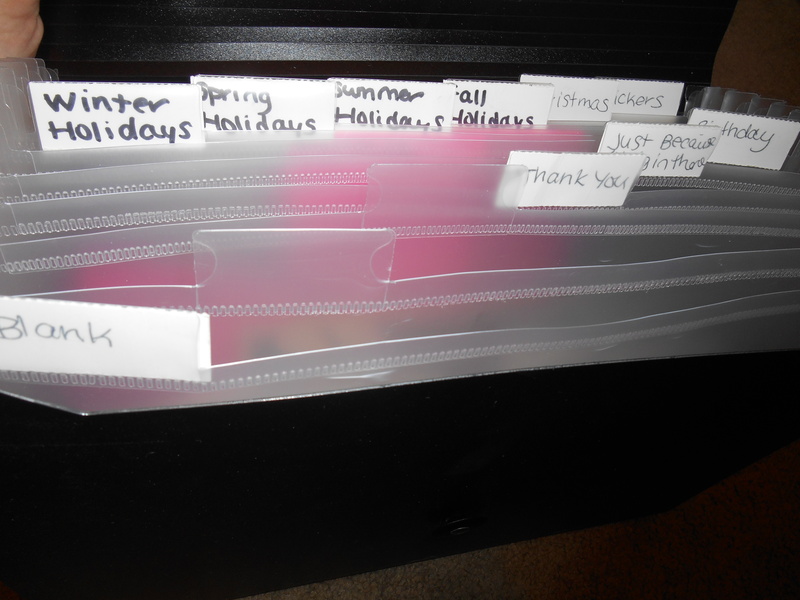 Also didn’t have a problem putting a couple of holes in each card and sticking them in a 3-ring binder for super-easy access to lots of reminders I am loved. 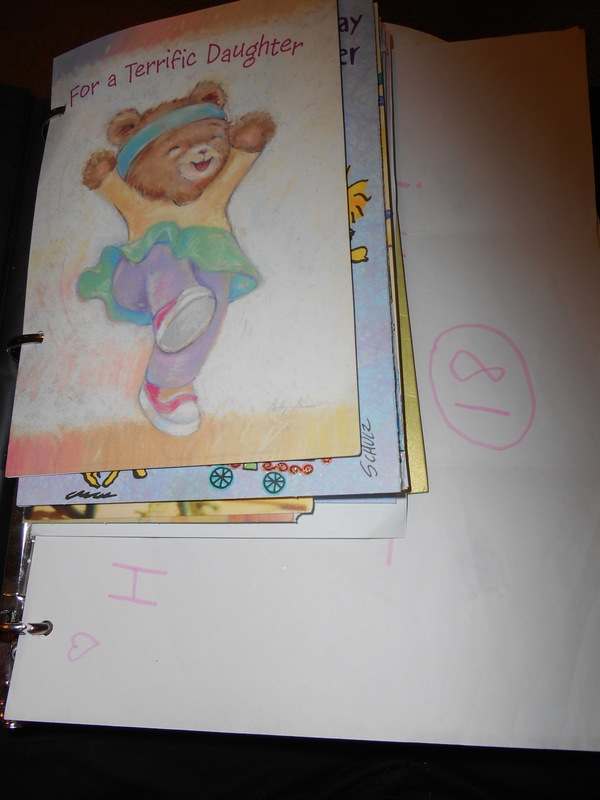 I alternated where the cards went in the binder – since many were small enough for only two holes, I put some in the top two holes and the next category in the bottom two holes, etc. With some of the cards or the covers that I didn’t feel the urge to keep any longer, I chose a few to cut up (some more) and keep pieces for when I make my own cards, which I do. These, I trimmed, or cut out the fun stuff. This is my card organizer. The first half are blank note cards with my initial or something similar on the front, which I tend to use instead of stationary. 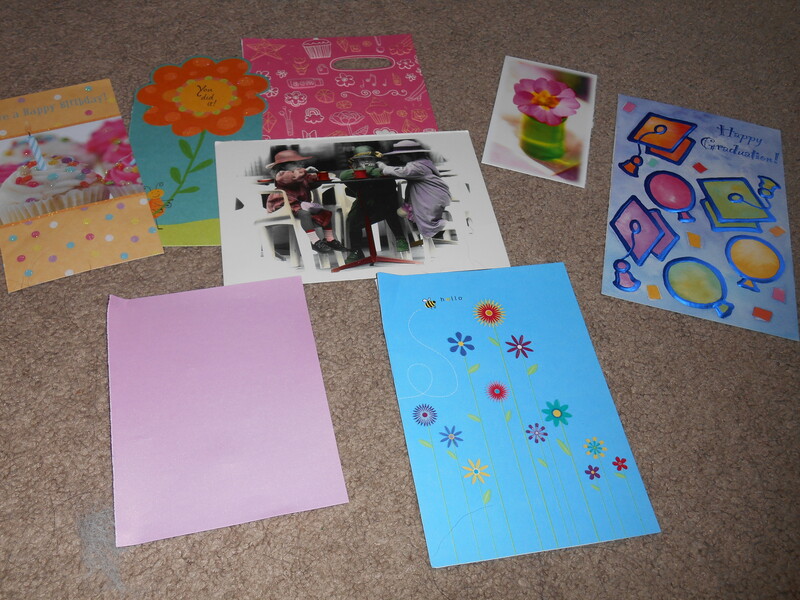 I have a TON of thank-you cards (I do use them a lot.) 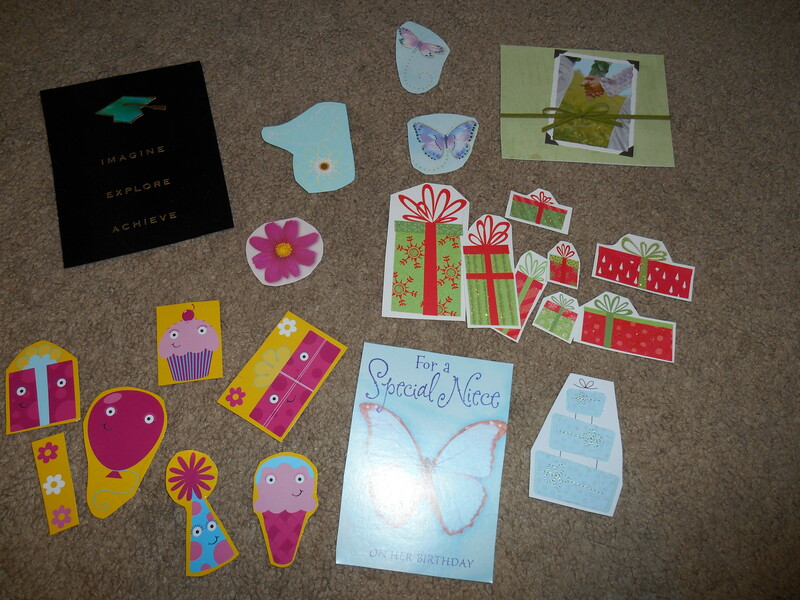 I bought a bunch of “Just because” cards for my nieces that can read. 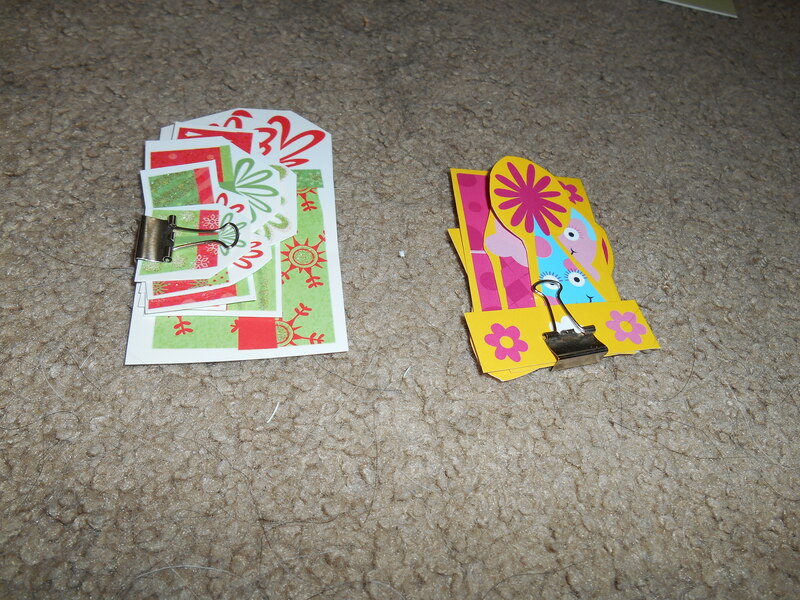 I have a birthday card slot, and a slot for cards of every season. 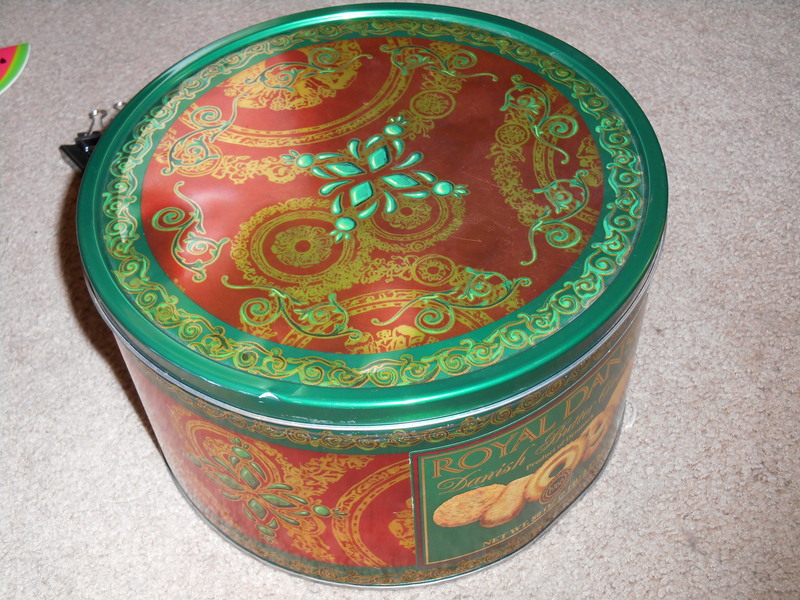 Christmas has its own section. The last two sections have the stuff I cut out today. 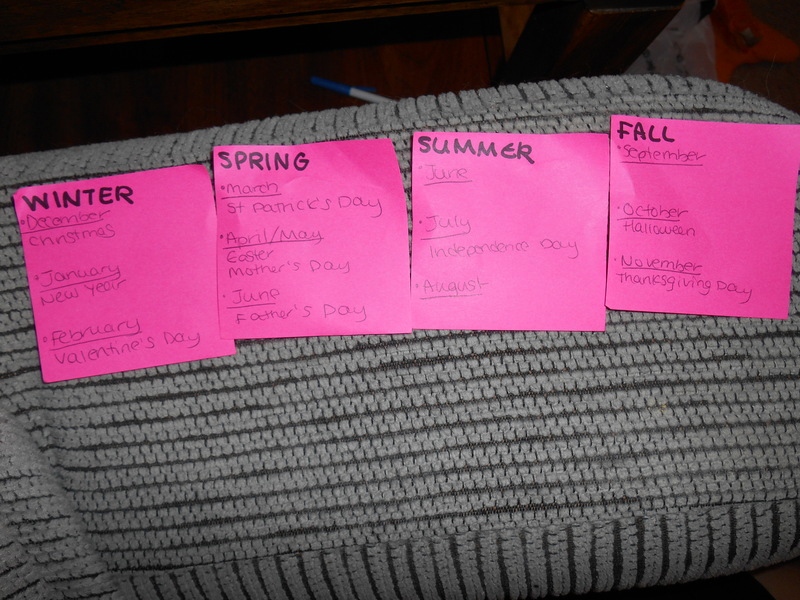 In each seasonal holiday I have a pink sticky note listing the holidays in that season (per month) that I tend to send out cards for. 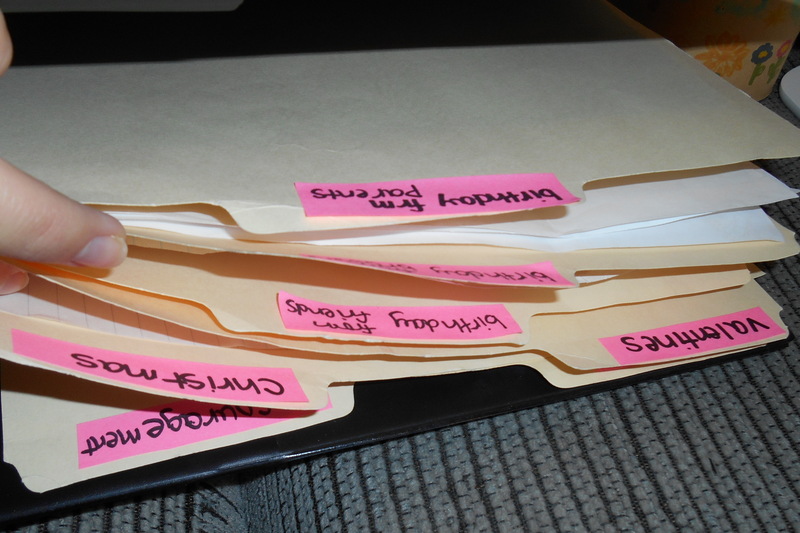 Cut apart some file folders that I was not going to use since I’ve switched to a binder and accordion folder system, slapped some cut-up sticky note labels on them, and now I’ve got dividers! Comment and let me know if you are a card hoarder – or just used to be one, like me! 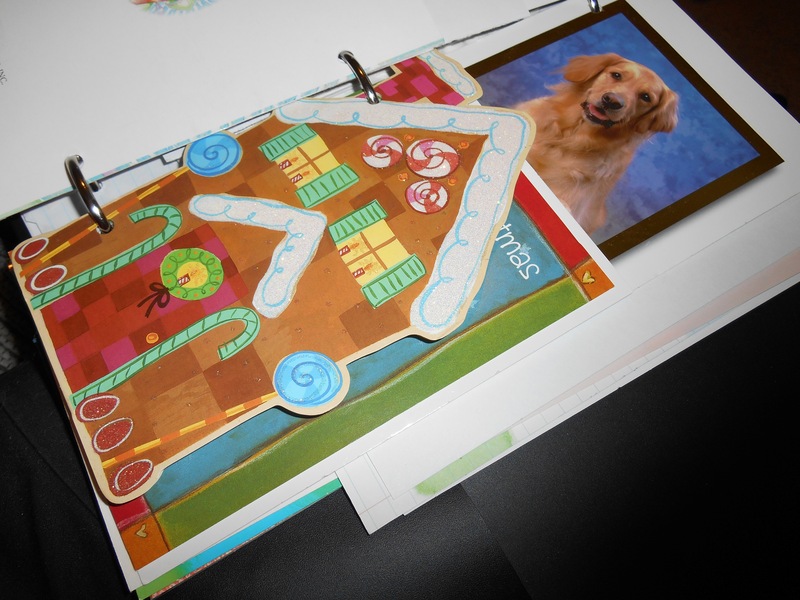 This entry was posted in Organization and tagged 3 ring binder, birthday cards, cards, christmas cards, crafty, declutter, DIY, greeting cards, organization, organize, storage. Bookmark the permalink.